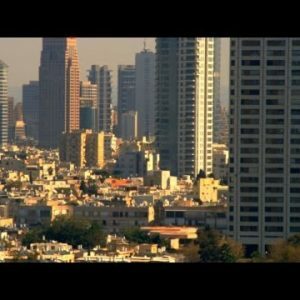 Categories: Israel 4K UHD Stock Footage Reel Long, Israel. Tags: alcove, altar, ancient, approaching, architecture, christ, church, church of the holy sepulchre, cross, dramatic, footage, fresco, golgotha, greek orthodox, historical, history, indoors, interior, israel, jerusalem, jesus, lapse, look up, low angle, marble, moving forward, moving towards, old, painting, religion, religious, sepulchre, spirituality, st longinus, stone pillar, symbol, time, time lapse, timelapse, tracking footage. Low-angle tracking footage approaching the altar of the Greek Orthodox chapel of St. Longinus, lacated within the Church of the Holy Sepulchre in Jerusalem. There is a marble altar and three paintings on the wall. 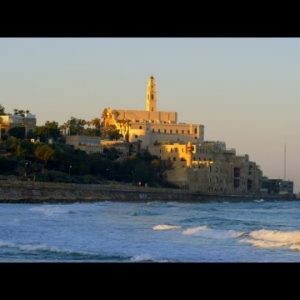 Royalty Free Stock Video Footage of St. Peter’s Church in Jaffa shot in Israel at 4k with Red. St. Peter’s Church on the coast of the Mediterranean shot in Israel at 4k with Red.